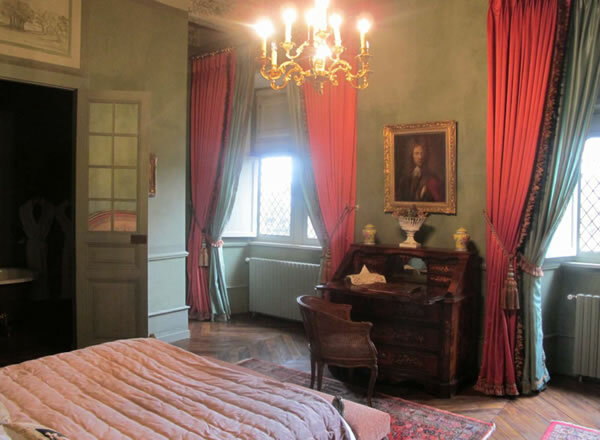 The Busset family welcomes you in their three splendid guest rooms of le Chateau de Canac in Rodez.In the heart of a park with century-old trees a château emerge. It was built during the 15th and 16th centuries. Towers and coats of arms, monumental fireplaces and original frameworks, stucco and French ceilings…The Château de Canac has preserved its character and identity inherited from the past centuries. This property run by the Busset Family is an exceptional maison d’hôtes, a mansion full of character which combines charm and serenity. It is located only a few minutes from the centre of Rodez and the Pierre Soulages Museum which presents a exhibition devoted to Picasso until September. 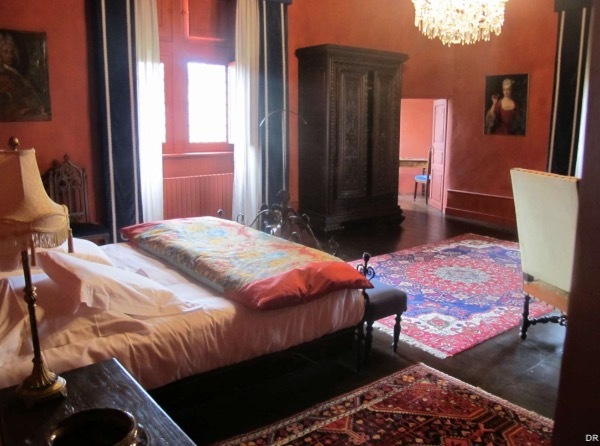 In « Le Chateau de Canac », you will discover three chambres d’hôtes with a unique atmosphere and upscale facilities. Each has its own ambiance and its own decoration, in a frame both atypical and enchanting. The first room is called François 1er. It is so named because the famous king of French Renaissance – he met Henry VIII in The famous Field of Cloth of Gold near Calais in 1520- slept in the Castle thirteen years later. The two others rooms have a ambiance more feminine but always influenced by the History. 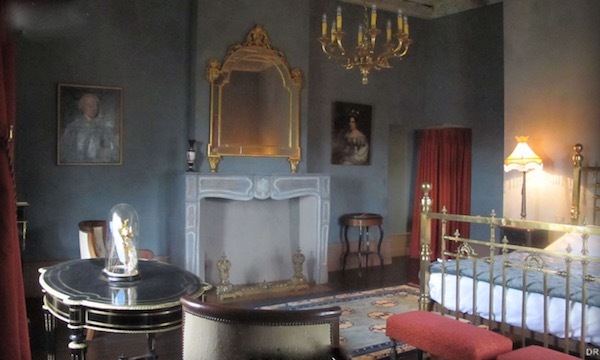 That’s the case with the Marie-Antoinette room to keep the souvenir of the wife of Louis XVI who was guillotined. But the ambiance of the Eugénie Room, imperatrice and wife of Napoleon III brings another part of history. 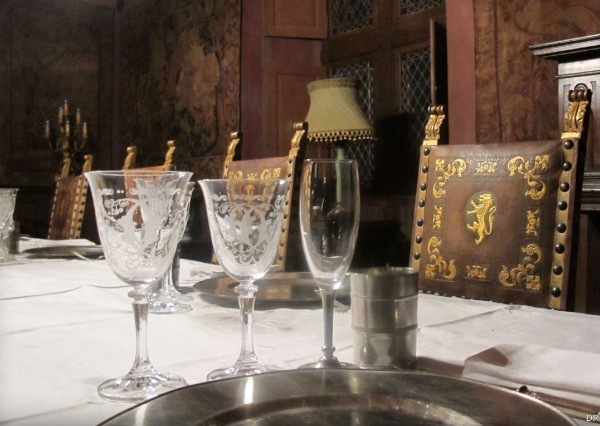 In addition, Château de Canac invites you to its table d’hôtes. In a room dominated by a monumental fireplace, conviviality goes hand in hand with culinary delights. You will be pleased to discover the products of the region renowned for its typical gastronomy. The Chef, Hervé Busset at Conques honored with one Michelin star for its cooking in his retaurant of Conques, has transmitted its passion to his son Henry in charge of « Canac ». 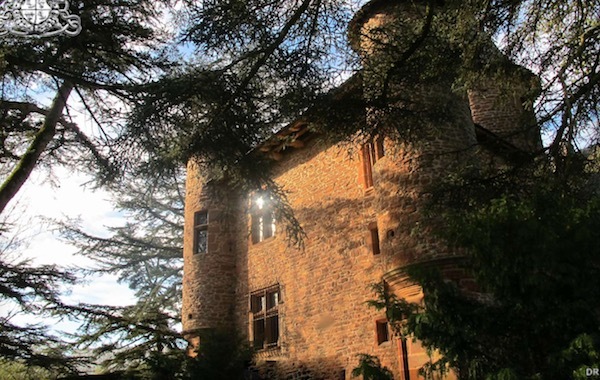 Canac is a the perfect base to explore the many majestic places of Aveyron, Aubrac plateau, Lot Valley, Millau bridge and the mediaeval Conque, one of the best spots on the Way of St. James. The place where Hervé Busset prepares in its gastronomic restaurant (one michelin star) a cooking full of natural flavors given by the flowers ands the plants of Aveyron. For your well being you get a park landscaped with trees (May to September, from 12:00 to 20:00). A covered car park (closed from 22h to 8h for the comfort of all) is available. Try a gastronomical experience with Hervé busset at le Moulin de cambelong in Conques!